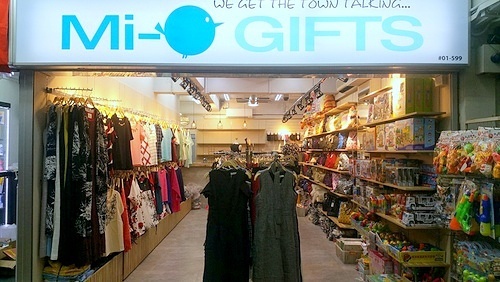 Mi-O Gifts has five stores in Singapore, including one at Hougang Mall (90 Hougang Avenue 10). In business for more than ten years, Mi-O Gifts sells affordable gift items that are great to give to friends, family, or other loved ones. At the stores, you can find a wide variety of products suitable as gifts, from women’s clothing to socks, bags, pouches, passport holders, pen holders, leather goods, soft toys, and much more. The official Facebook page for Mi-O Gifts is available at www.facebook.com/MiOGifts.